The episode follows the discovery and discussion surrounding a discovery of Xu Xing, a Chinese paleontologist who, upon receiving a fossil of a four-winged dinosaur recognized it as such (no one before him had seen, or perhaps recognized, such a creature). 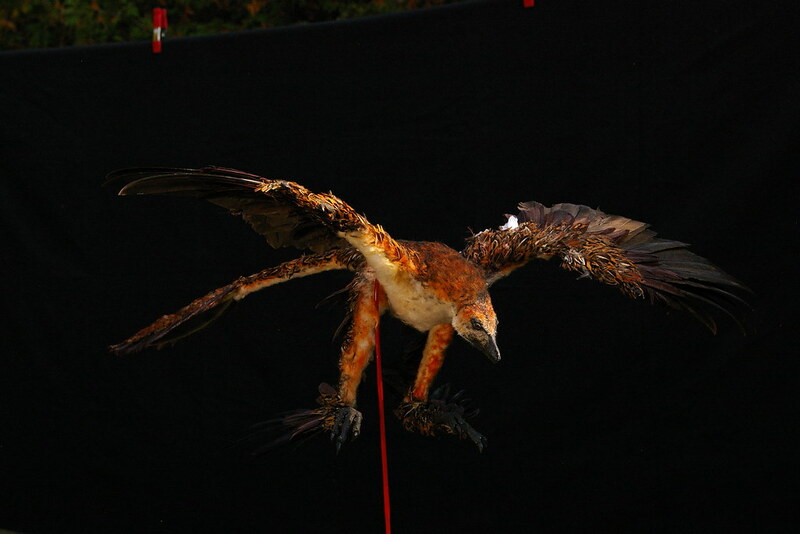 Xu Xing named the creature a Microraptor. No sooner had Xu Xing named the creature and written up a paper about it than alternate theories began to emerge. 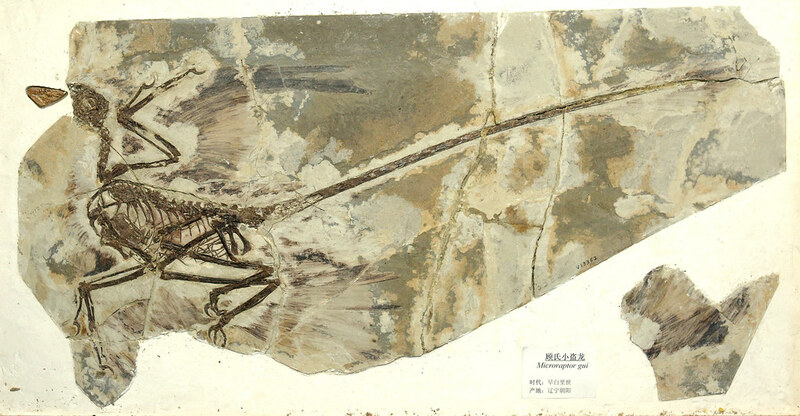 Where Xu Xing placed the Microraptor in one family and felt that it proved beyond a shadow of a doubt that dinosaurs evolved into birds, others disagreed. Where Xu Xing pointed out how he imagined the bones to connect to one another, others disagreed, sure that leg bones plugged into sockets in a wholly different fashion. This week's Nova is fascinating precisely because it illuminates the vast array of opinions that scientists can have looking at the exact same material. Nova actually has the scientists trade models with one-another and even with 3-D versions of the Microraptor the scientists cannot agree on how the pieces fit together. What all the scientists do agree on, mostly because the fossil record is irrefutable, is that the Microraptor (as well as its larger raptor cousins) had feathers and not the type of skin they were depicted with in Steven Spielberg's Jurassic Park. The documentary actually uses Jurassic Park to great effect, explaining how raptors entered the public c onsciousness via the film, and how perception was affected by the movie. The use of the mainstream film, while perhaps a little silly, is certainly a touchstone in our society and a great entry into the study currently being pursued. No one could possibly mistake that film for a documentary, but Nova is clear to try a couple of differences nonetheless (they do not go as far as saying that we can't actually make dinosaurs, as they must assume that the audience is already aware). In the end however, as stated above, the entire episode really boils down to a scientific argument between different dinosaur-studying camps. The episode goes one step shy of actually putting the feuding camps into a single room, but the enmity felt between the two groups seems great enough that even if Nova had wanted to get them together they never would have acquiesced. Thus, the documentary is as interesting for the personal dynamics of the feuding scientific factions as it is for the actual discoveries presented. In fact, I would love to see a follow-up piece that eschews discussion of the dinosaurs entirely and chooses rather to focus on the individuals piecing together the theories and why their thoughts differ so greatly. Nova – “The Four-Winged Dinosaur” airs Tuesday, February 26 at 8pm (a check of your local listings is never a bad idea however.